Gels are a great delivery system for more than just sugars and salts in energy gels and we have commercialised many successful products for various sectors that deliver functional ingredients in a convenient and great tasting format. Examples of products we can produce…..
Energy gels provide a fast and convenient means for atheletes and sportsmen to improve performance, boost energy and endurance, and achieve better results. 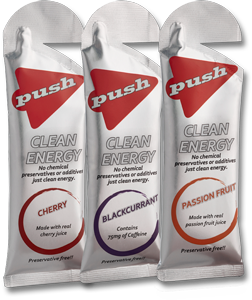 Nutrition is important in any sport and Nutrition Works’ energy gels taste great and deliver results. Nutrition Works expertise in sports gel development means we can formulate and manufacture energy gels that are scientifically superior. Our gels work in the pre-workout, intra-workout and recovery stages – in fact, nearly all areas of the sports nutrition sector.